America’s first astronauts are a proud part of our history as a country. These men tested experimental equipment, were launched on death-defying missions, and risked their lives nearly every day they went to work. The media couldn’t get enough of these heroic icons, representing the progress of the U.S. in science and technology. Unfortunately, while the media was having a heyday over these men and the accomplishments of NASA, they were also fascinated by the women who stood by these remarkable men–the Astronaut wives. These women married risk-taking, proud, ambitious men, but they never dreamed that they would one day be on the cover of Life magazine, interviewing with journalists about what it was like to have your husband shot into space. 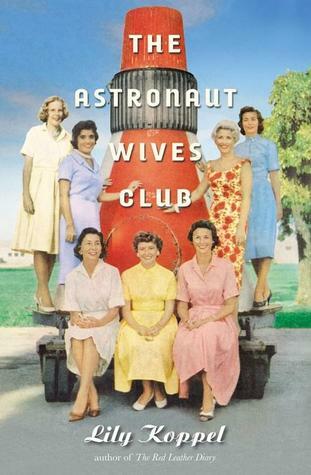 This true account (non-fiction) of the Astronaut Wives’ Club outlines the politics of the time, the technological advancements and disasters that lead to finally landing on the moon, orbiting the country, and more. Anyone interested in American history and the fascinating women who could wait in a suburban home for an astronaut to come home for dinner each day–and the remarkable things they did themselves, without getting much credit for their strength of character and bravery themselves. Fully recommend this read to anyone who likes non-fiction, especially regarding women’s issues and the changing politics in history regarding the role of the female. Top marks! And if you like to listen to your non-fiction via audiobook, Hachette Audio has made The Astronaut’s Wives Club into an audiobook that is impeccably narrated and a great option.